Choose MP4 as the output format. 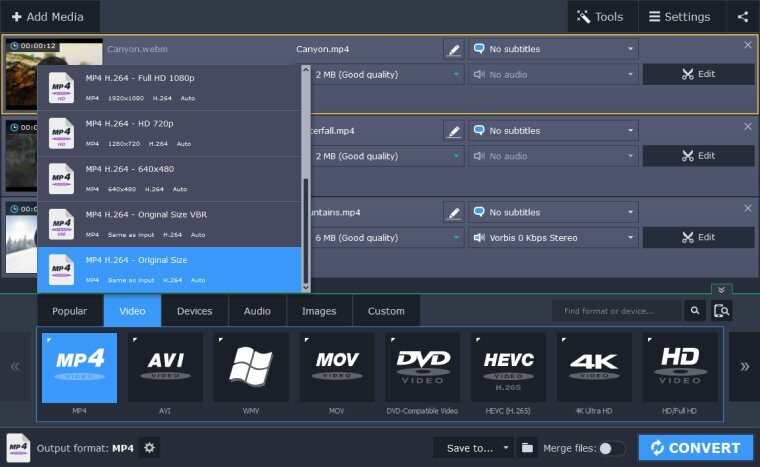 Is your WebM video file over 100 MB? Try our premium desktop app! 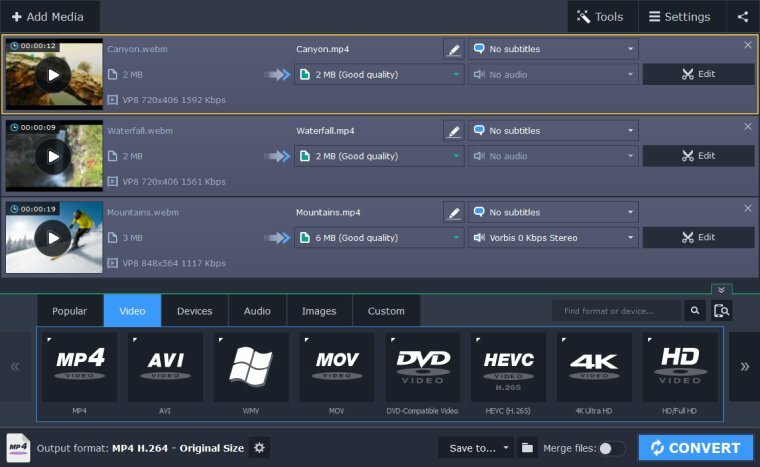 If your WebM file happens to be larger than 100 MB, which makes conversion via our web service impossible, you can always use our offline desktop conversion tool – the SuperSpeed Video Converter. No need to worry about complexities - our program’s intuitive interface is designed to make the process fast and easy. 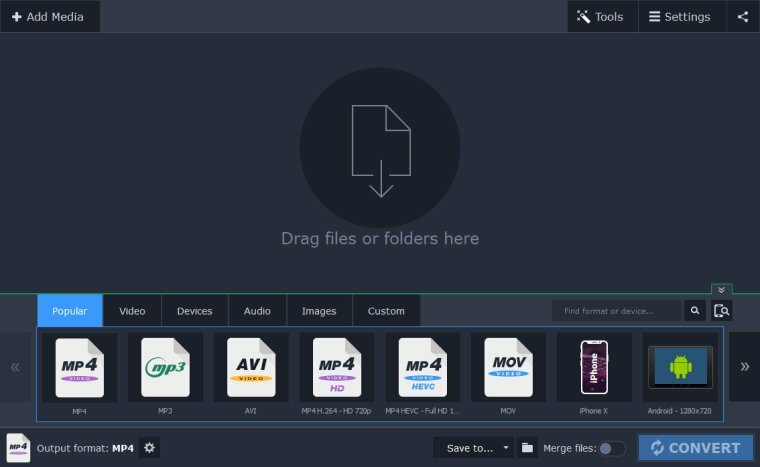 No matter what format you want to convert your files to, the SuperSpeed Video Converter will give you the best results in the shortest amount of time. To learn how to turn WebM into MP4, simply download the program and follow the guide below. Open the downloaded file and follow the on-screen instructions to install the program on your computer. When the software is installed, double-click the desktop icon to launch it. In the top left corner of the program, click the Add Media button, and then choose Add Video. In the system window, find and select your WebM file. 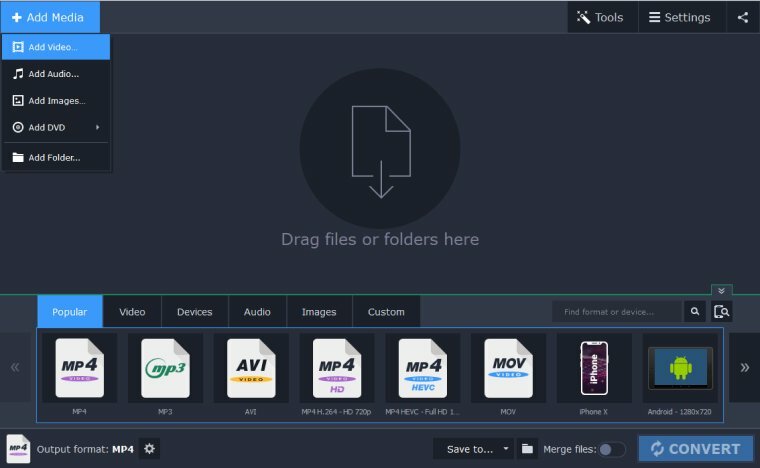 Alternatively, you can simply drag and drop your video files from their folder to the program window. On the Video tab, find the MP4 group of presets and choose one that meets your needs. If you want to convert the file with minimal changes, select the Original Size preset. After you’ve chosen the format, set the output folder by clicking the Folder icon and then hit Convert. When the process is complete, the folder with your file will open automatically. With the SuperSpeed Video Converter, you will get the best results and save time and effort. Try it now and experiment with more than 180 different media formats!